Baby Slings & Carriers was in fact introduced to me by a few mummy followers on Instagram when I shared that I was having problem with baby wearing. Anyway, that is Pearline, the super friendly lady boss at Baby Slings & Carriers! 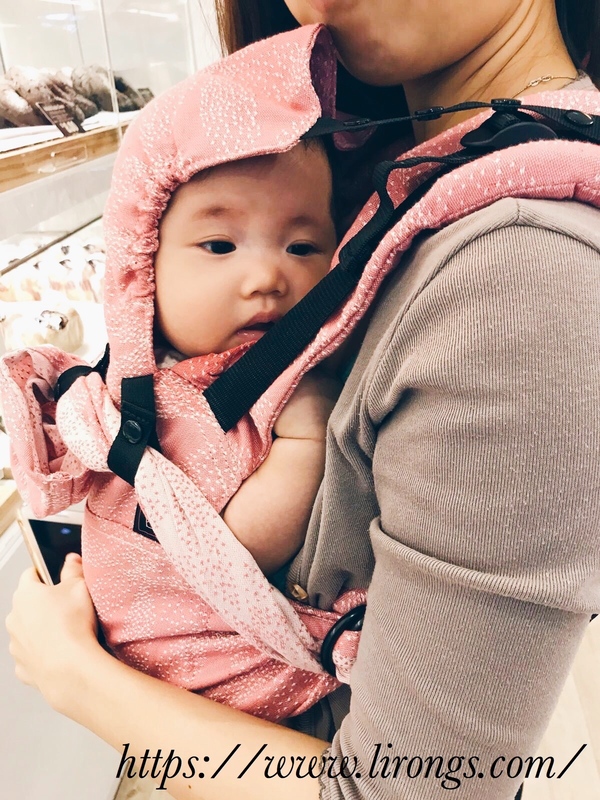 A bit of background about Baby Slings & Carriers first. 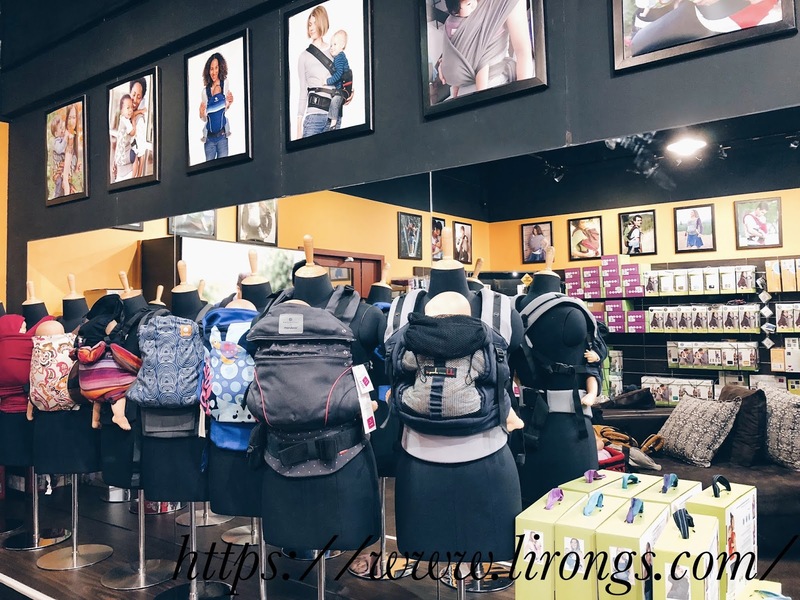 Baby Slings & Carriers was born because they saw the need for a comprehensive website that helps a new parent to select the right baby wearing tool while caring for a new baby! 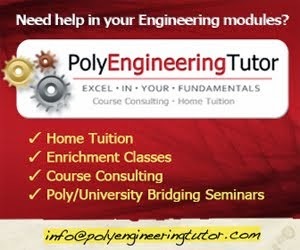 If you were to hop over to their website, you can see for yourself that their website is indeed comprehensive. Just look at the extensive types of carriers that they carry alone! To be honest, while scrolling through the website, I already feel lost! There are just too many brands of carriers out there (don't even talk about slings and etc) and all of them sounds like a great carrier! So which to choose? If you can relate to me, then you'll be glad that Baby Slings & Carriers actually offers personalised carrier fitting service at the a low of $20 only! I went for the session and personally find that what you'll gain is definitely more than the $20 spent! 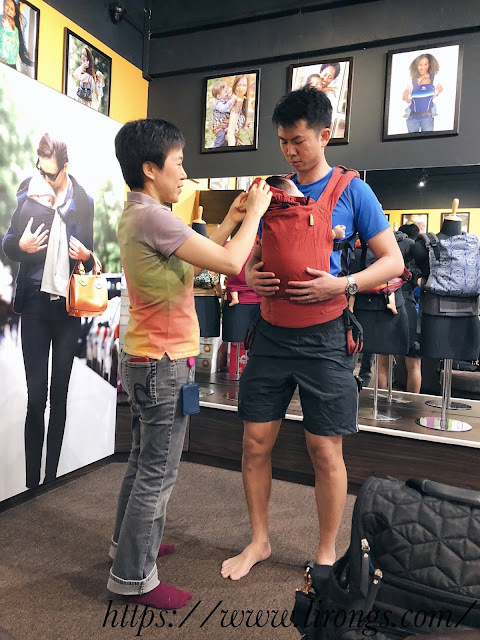 At Baby Slings & Carriers, you can find yourself a wide range of carriers in store and you get to try on them to have a first hand feel. Moreover, it's under the supervision of professionals like Pearline and her team! They will be able to guide you in your baby wearing, especially if you're a FTM like myself and they give you an unbiased view of how each carrier feels like on you! For me, Pearline introduced 3 carriers that could be suitable for me. 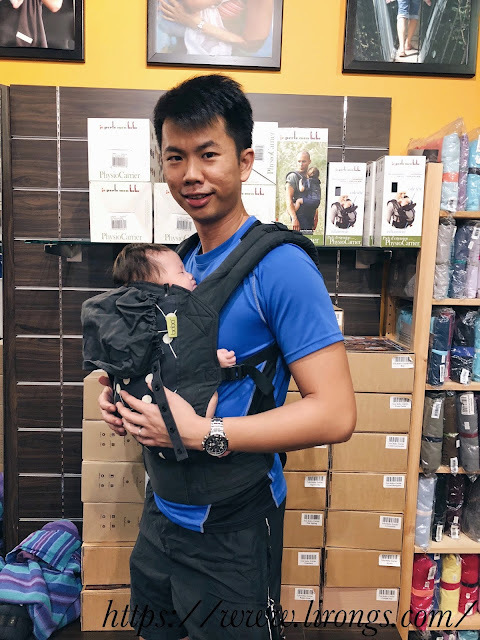 First was Emeibaby Carrier. I love the feeling immediately when I wear baby J in it! My back was very well supported and the weight was well distributed around my hips. It simply feels so easy to be carrying my not so light, baby, in this carrier. More importantly, baby J sits so comfortably in the carrier as it takes the shape of the baby very well! 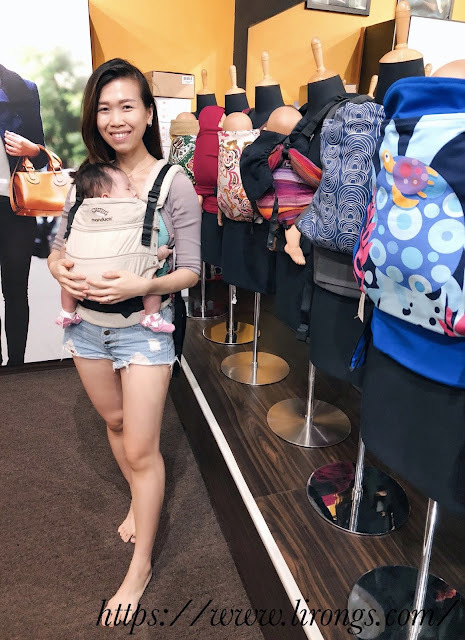 So I got to know that Emeibaby Carrier combines the versatility of woven baby wraps and ring slings with the ease of use and support of ergonomic backpack carriers. 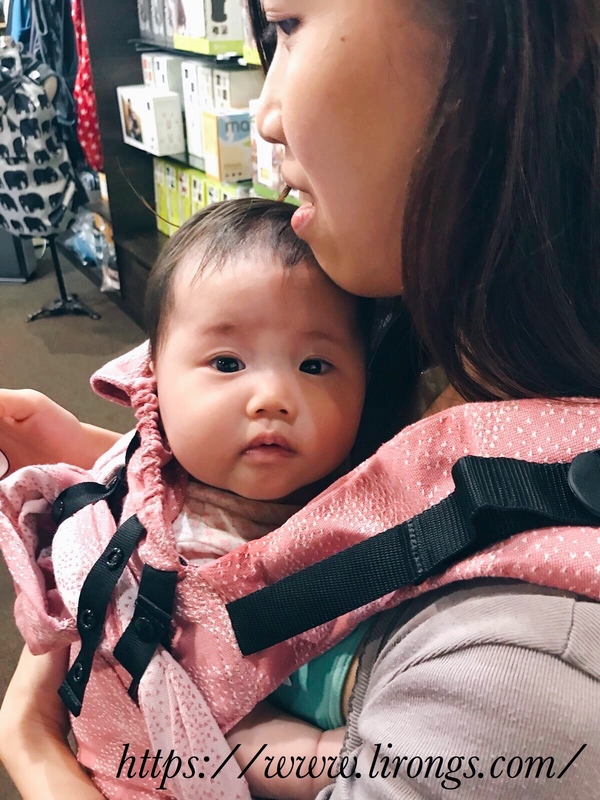 The result is a baby carrier that offers the baby wearer the advantages of all three! 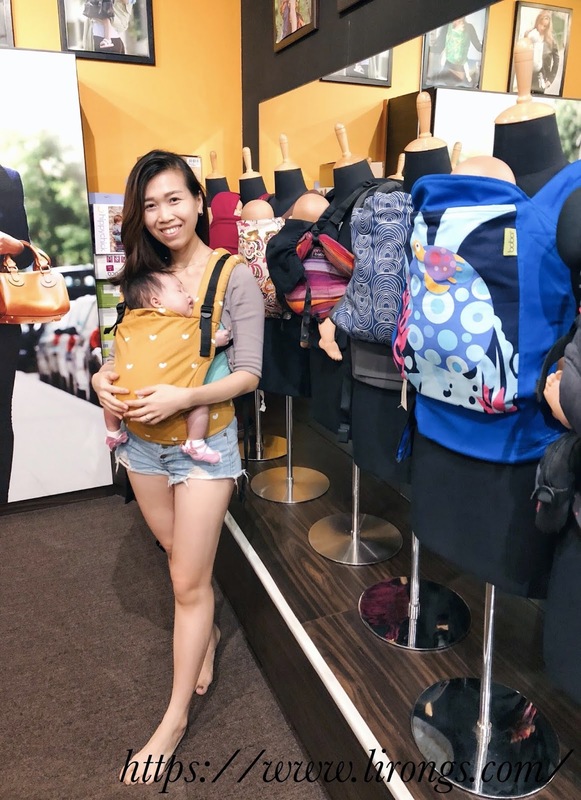 Also, if you're petite in frame like me, Emeibaby is a great choice! This is hubby wearing the same carrier and he was extremely awkward in it. Haha! Pearline explained that it was because Emeibaby is designed to fit a woman's waist more than a man. Hence, he wouldn't feel as comfortable in it. The second one that I tried was Manduca Baby Carrier. This is also a great choice for both petite and bigger size mummies! In fact, I actually love the support of Manduca carrier more than Emeibaby. Manduca is also good to accommodate bigger babies and takes the shape of baby very well! However, aesthetically wise, Manduca can't compare at all. Haha! Hubby tried on it too. Again, he doesn't feel the same level of comfort as I do. So this was when Pearline educated us on the reason why there are so many brands of carriers out in the market. Each brand has their targeted audience. 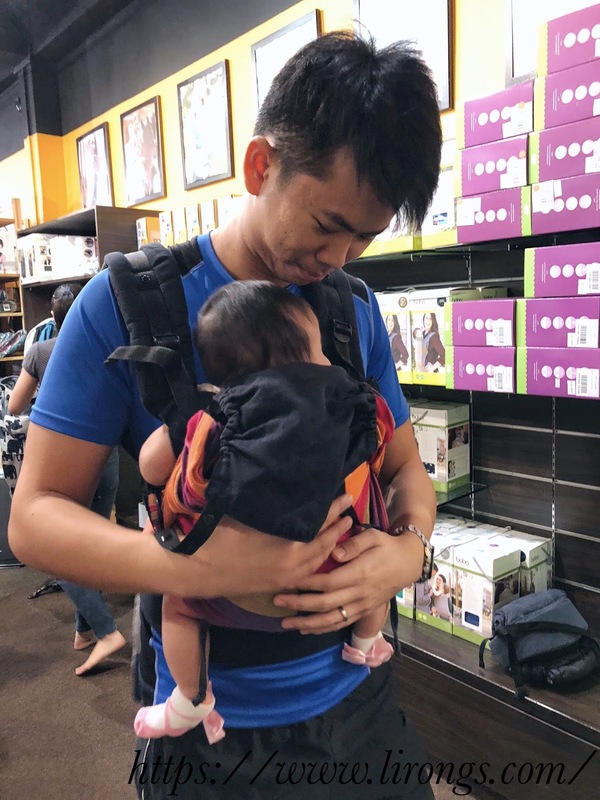 Hence, Pearline introduced hubby Boba 4G Baby Carrier! Looking at the outlook of the carrier, it does fit the tall and lean body structure of my hubby very well! In fact, it is a very popular brand among the "angmohs". Hubby was finally happy with a carrier! He was like finally one that he felt comfortable in! Haha! So this was the Boba Carrier that he settled for. 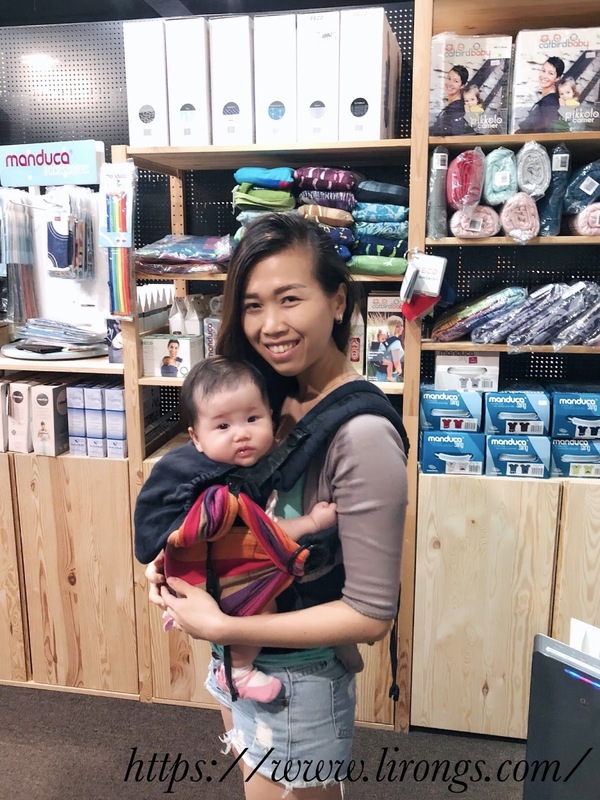 So daddies, if you are keen of baby wearing but aren't confident in wearing baby by yourself, Pearline and her team is here to help! For myself, I decided to try on Tula as well. Since I've heard so many good reviews of it! Verdict? While the support on my back was fantastic. It didn't feel as great around my hips and baby J certainly didn't sit as comfortably as compared to Emeibaby and Manduca. Business hours:10 am to 6pm Monday, Tuesday, Thursday, Friday & Saturday. Closed on Wednesday, Sunday & Public Holidays. No MSG. Fusion food & great desserts. Your style of composing is unique in relation to other online essayists. Each time I read your substance, I get new things. Something extraordinary originates from your mind that I appreciate perusing. asap for certified and trusted services.